From dark and moody to bright orange and lively, these fall nail designs are sure to cover all your styles and designs that you’d want and ones that you never even knew you wanted! As matte design goes, it’s hard to take them on and ever having them turn bad. The black matte finish is an all time favourite and what could make it better? That’s right, a touch of gold on the tips for a beautiful glow. 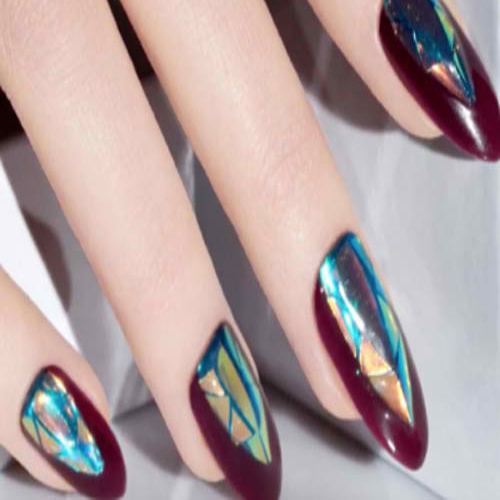 With a nice dark purple base colour and the addition of some beautifully bedazzled jewels on the surface layer, this nail design really shows the power of a good set of colours contrasting against each other. Have a formal event this fall? 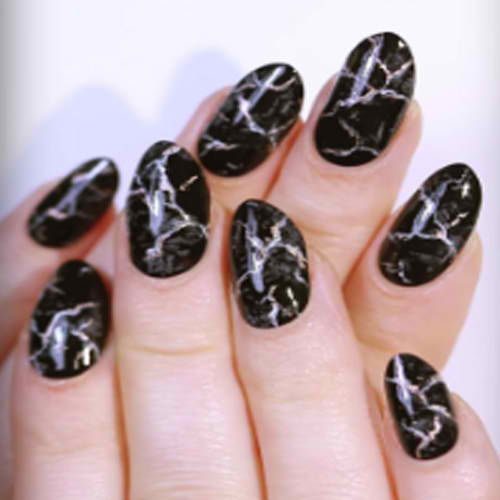 A dark black, white and gold marble nail design is a perfect choice and one that is just simply impossible to go wrong with. Fall is known for its brownish and just darkish colours in general. So, with the ever growing popularity of the rose gold color, rather similar to the brown color, why not give this a shot? 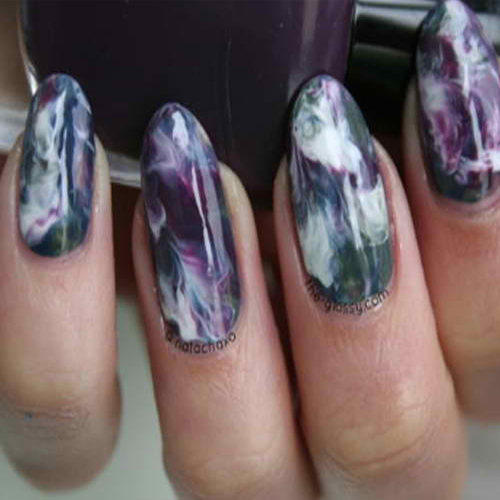 It’s sure to look stunning on your fingernails! 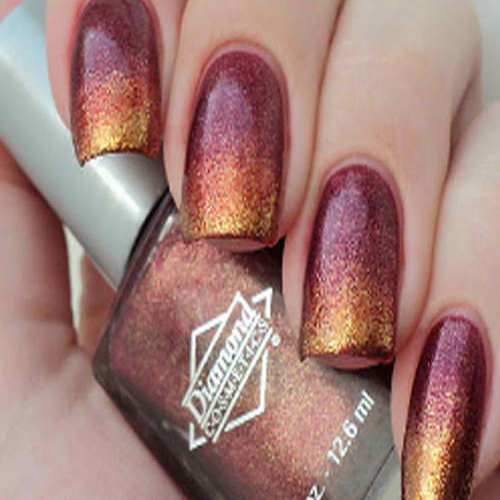 Take a look at this glitter fade gradient and just try to convince yourself that this wouldn’t have people turning their heads in awe of your beautiful fingernails. And if this is what you’d like, then what are you waiting for? With fall comes some dark looking colours. 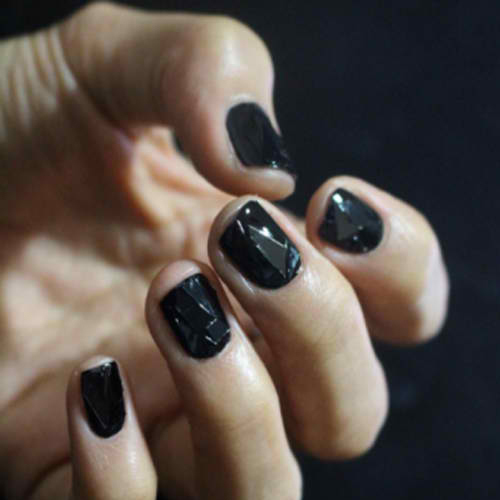 So why not just go all the way and paint your nails completely black. But not just completely black, black with some indents and grooves to make them POP out and have them look like a diamond gridded pattern. This uniquely designed French tip has it so the tip actually extends all around the outline of your fingernail, giving a cool look whilst also giving the impression your nails are longer than the actually are. Out with the bright summer colors like yellow, orange or whatnot and it’s time to fully welcome fall with open arms with beautiful dark red and purple gradient nail colors. 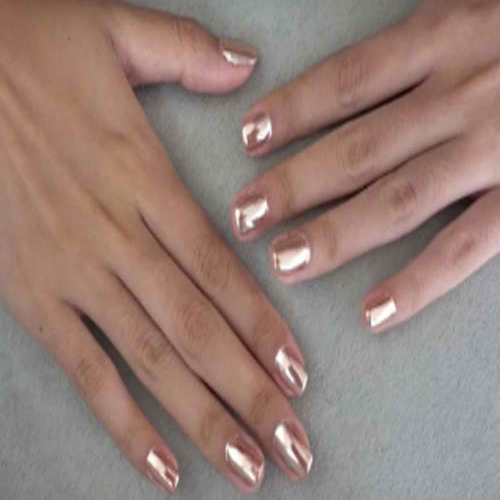 Take a look at these beautiful golden based nail designs. Like the beautiful fall sunset, the golden color really encompasses the beauty of fall. 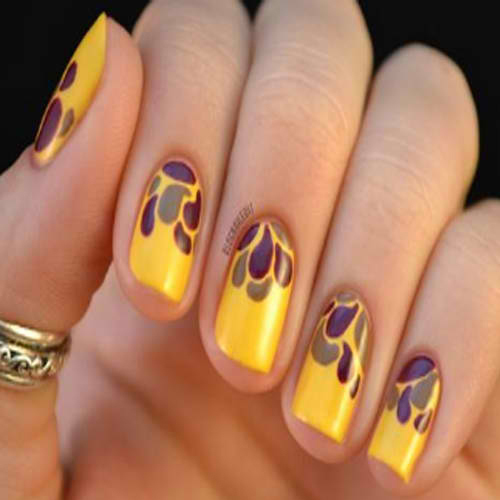 The darker shaded petals also add a pinch of texture which completes this design.